In terms of size, Beijing is second only to Shanghai. It is has held the position of the political center of the country for over 800 years. With a dense travel network, encompassing road, airline, and rail, Beijing is at the heart of the travel industry. Still called Peking by some, Beijing is full of attractions and opportunities for sightseeing, including one of the most visited in the world, the Great Wall of China. The city center has been preserved as a place of historic value, where you will find plenty of cultural monuments, like the Imperial Palace and the Heavenly Temple. Beijing is not a place to be rushed; it is a place to wander, to savour the glory of historic China and be taken way back in time. Make sure you take in these 6 places of interest on your trip to Beijing. No visit to China would be complete without going to the Great Wall. We can date the start of the wall back to the 5-8th Century BCE and much of what still stands today was constructed under the Qing Dynasty as a defense against Mongol insurgents. In total, the wall stretches for 21,196 km with the Qing wall at 8,850 km. OF that 6,259 km are wall while the rest is made up of natural defense and trenches. There are more than 25,000 watch towers spanning the length of the wall which, for the most part, now stands in ruing. Only around 30% of the wall is kept in good enough condition for the tourists. 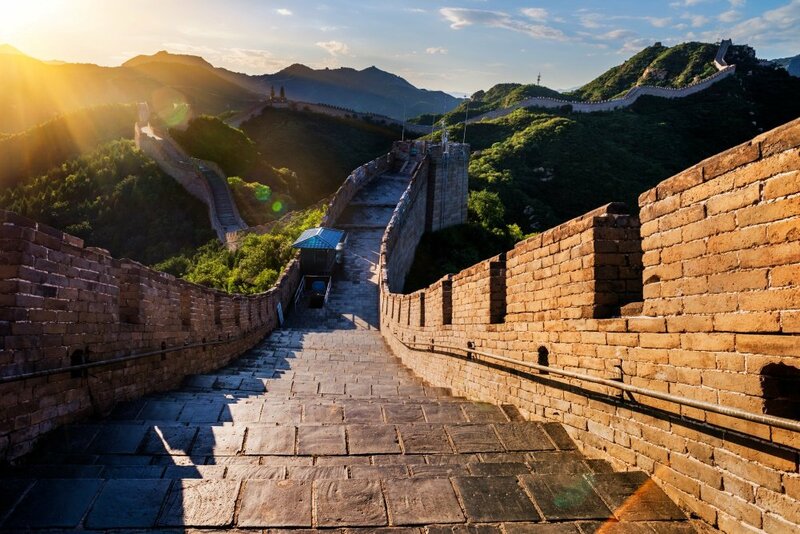 The best part of the wall is called Mutianyu and you can also take in a hiking track called Jinshanling or join one of the many Great Wall tours. 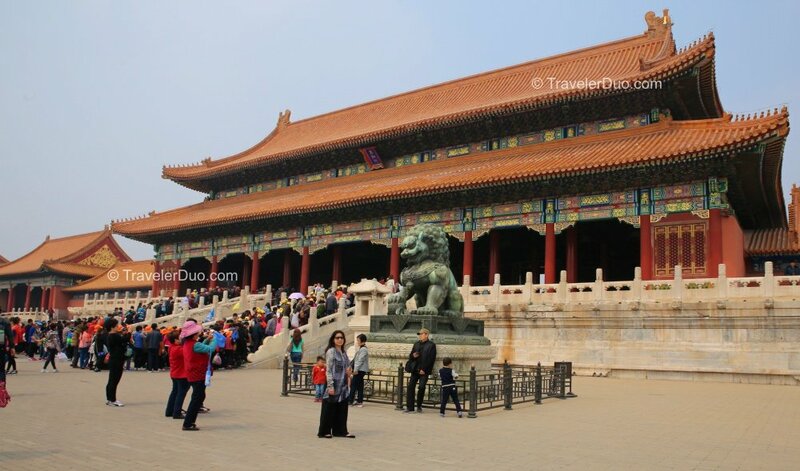 The Forbidden City or the Imperial Palace as it is otherwise known sprawls over 180 acres and was, from 1420 to 1912 the Palace for the Emperor of China. It is home to 980 buildings and is a recognized UNESCO World Heritage Site. Its name comes from the fact that entry to the complex was forbidden unless the Emperor gave permission. Today, it is where you will find the Palace Museum. The complex is split into two – the Outer Court to the South where the Emperor ruled his subjects, and the Inner Court to North where he resided. You will find stunning examples of architecture throughout the complex along with the Palace Museum collections, over one million artifacts – jade, paintings, ceramic, bronze, and more. Your tour of the complex begins at the Meridian Gate and ends at the East Prosperity Gate or the Gate of Divine Prowess. 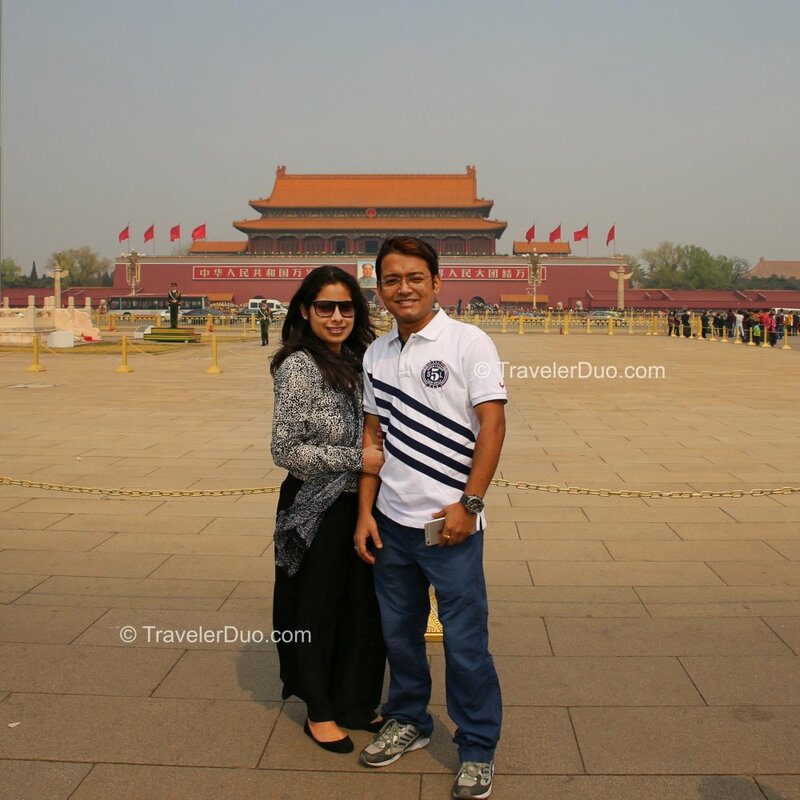 One of the biggest public squares in Central China, Tiananmen Square is home to some of the most important monuments to be found in the city. Just a short way from the Forbidden City, Tiananmen has been enlarged and renovated over several centuries. Here, you will find the granite-constructed Monument of the People’s Heroes, one the biggest monuments in the country. At the north end of the square stands the Tiananmen Tower, constructed in 1417 and serving as one of the entrances to the Forbidden City. You will also see the National Museum of China, home to relics, objects, and models that trace the history of China and, opposite, is The Great Hall of People, still in use today for diplomatic and government purposes. The Mausoleum of Mao Zedong can also be seen here, the place where, in 1949, China was declared a republic. 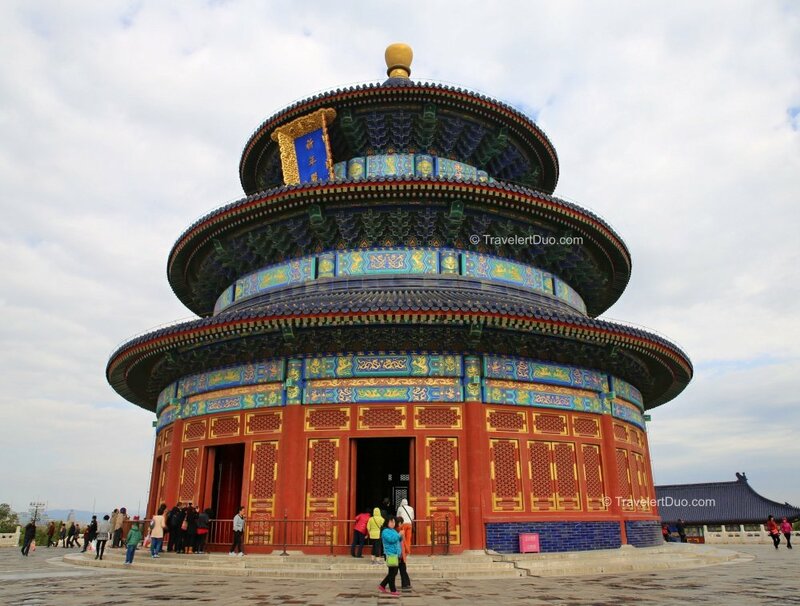 The Temple of Heaven is a stunning collection of religious buildings. The complex is huge, covering even more ground than the Forbidden City and was opened for the public to visit in 1988. Chinese emperors were revered as Heavenly Sons, their duties carried out at the behest of the gods. The temple has some stunning features, including the Circular Mound Alter, a sacrificial altar, which is considered to be the most important part of the temple. Other important buildings worth seeing include The Hall of Prayer for Good Harvest, the Palace of Abstinence, the Imperial Vault of Heaven and the Heaven Worship Culture. The palace is also surrounded by extensive parks, well worth a wander around. 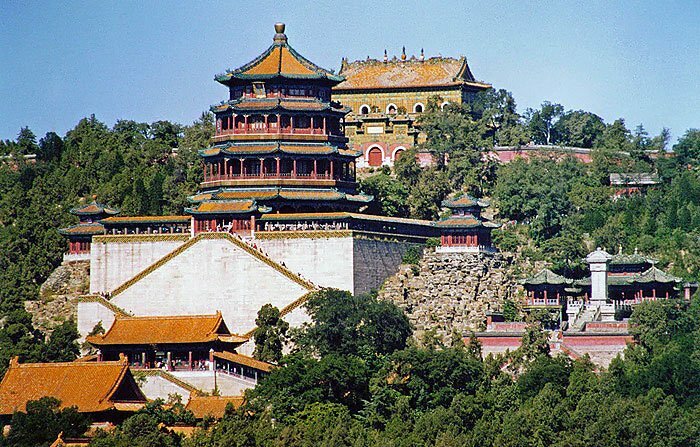 The Summer Palace is the biggest royal park in the country and is also one of the best preserved. Built in 1750 as a royal retreat, the Palace suffered extensive damage in the Anglo-French wars, as did much of Beijing and, indeed, China as a whole. The palace has seen many residents over the years, from the Qing Dynasty, right up to 20th-century government officials. The center is the Longevity Hill, littered with buildings. In the Front Hill area, you will find the 730-meter-Long Corridor, complete with spectacular decorations, the Eastern Palace Gate and the Hall of Jade Billows. In the Back-Hill area, there are the garden of Harmonious Pleasures, the ‘Four Great Regions’ and The Glass Tower, among many other sites, many of which have only recently been restored to anywhere near their former glory. 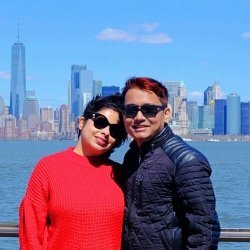 Other parts worth visiting are the Eastern and the Western Dams. Opened for public visitors in 1924, the Place has undergone several renovations in recent years and is now one of the top attractions in Beijing. 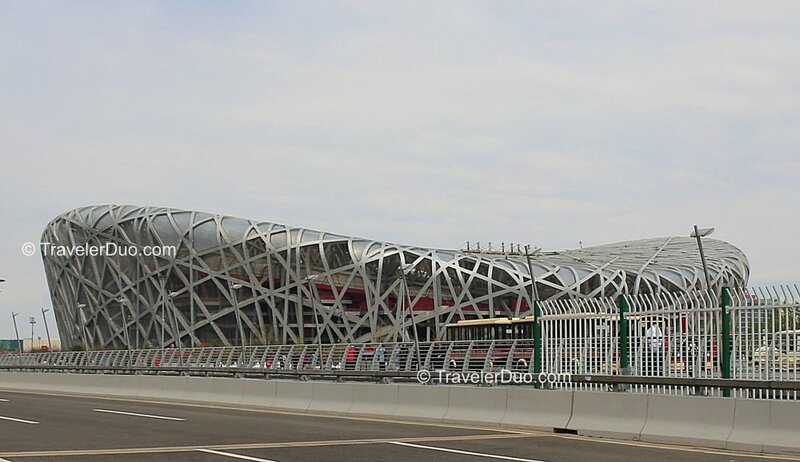 Built for the 2008 Beijing Olympics, the world-famous Bird’s Nest Stadium was constructed in just 4 years. Steel beans are placed randomly to hide the beams needed to open the retractable roof and it is these beans that give the stadium its name. Following the 2008 Olympics, the stadium, which seats 8,000, has mostly been used for football, athletic events, and concerts and there are plans in the pipeline to build a hotel and a shopping mall to bring in even more visitors.